Seven opposition lawmakers will cross the floor and join the ruling Progressive Party of Maldives (PPM) within the next 15 days, says Inguraidhoo MP Ibrahim Falah. MP Falah tweeted last Wednesday night that PPM will hold a signing ceremony for seven opposition MPs within 15 days. He did not specify who the seven MPs are, or the reason for their switch in allegiance. Falah made a similar comment at the rally held by First Lady Fathimath Ibrahim in Addu City last week. In his speech at the rally, Falah said PPM will “grab six opposition MPs within the next month or so”. Meanwhile, the Supreme Court has issued an injunction suspending the decision by the court on February 1 to reinstate 12 former PPM MPs who crossed the floor and joined the opposition. The injunction was issued following a case submitted by the Attorney General challenging the constitutionality of two points in the February 1 order. Parliament sittings this year began in February with the government no longer enjoying its super majority. The Parliament has 85 seats. 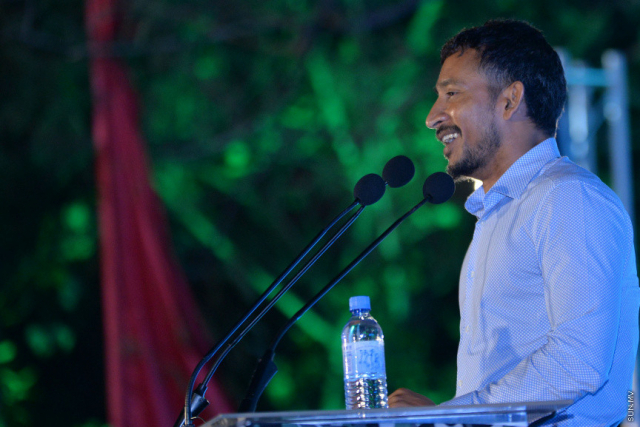 The government coalition currently has 42 MPs – including the Speaker, Abdulla Maseeh Mohamed. The opposition has 43 MPs – but that is including the 12 MPs whose fate lays with the Supreme Court.